A fabulous post, Inese, and I’m so sorry to have missed it at Halloween. I love hearing all the mysterious and/or ghostly tales connected with these really old buildings. They’re definitely creepy enough to send shivers down the spine, but also a great ‘pull’ for tourists. I don’t think I’d pay €60 for a tour, though, and am not even sure I’d want to venture inside Loftus Hall at all! I’ve just spent some time watching the really spooky video you listed. I’ll keep an open mind about such things, as always, but found the history of the place so interesting. Stunning photographs, as always. Thank you so much, Millie! I think that the tours are rather entertaining than mysterious, but I don’t mind as long as the building is preserved, because it is heartbreaking to see historical buildings go. The videos are spooky though 🙂 I am not surprised that there is some paranormal activity going on. I live in a 150 years old building, and I had two paranormal experiences this year – two times a certain item was moved during the night by the forces unknown. And I am not kidding. The interior is mostly in decay, and I would love to just walk around and take photographs. They could charge me for that, it’s no problem. Very atmospheric. I understand why your friend went for the tour, although it seems steep indeed. Fascinating places indeed. Thanks for the wonderful pictures and for taking us there. Thank you, Olga! So much history there. Inese, I loved the ghost on the bridge. 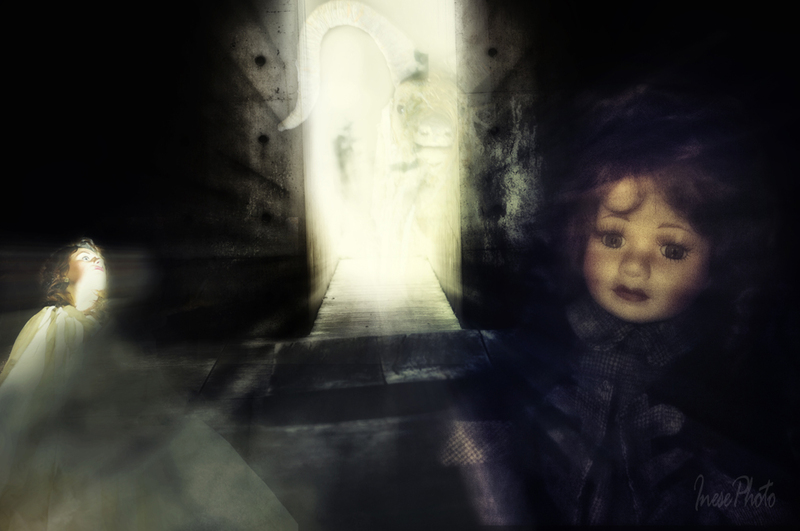 The doll in the lighthouse glow was gorgeous image, too. 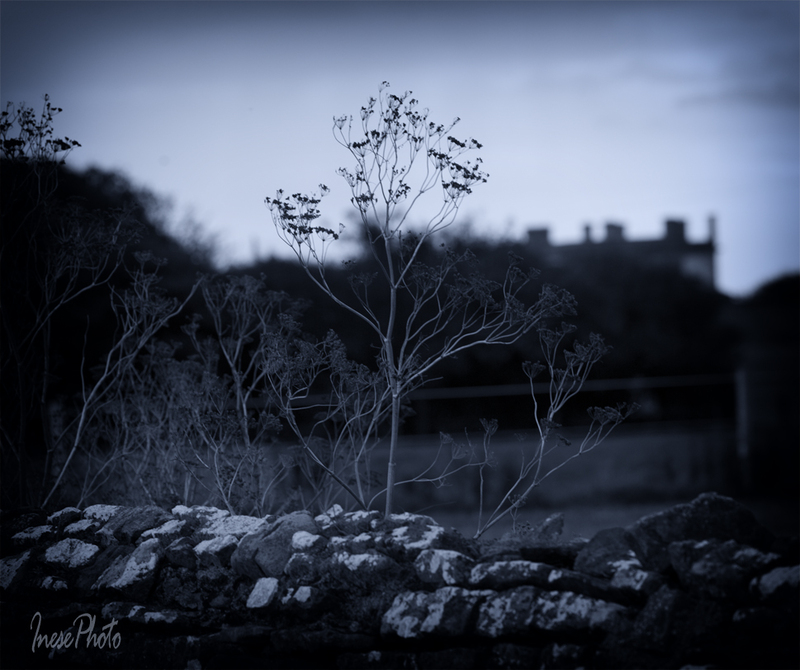 The castle, deteriorated building and the stories were fantastic. The different things that struck me most were using bullocks’ blood with cement on one of the structures. The open window with billowing curtains flowing outside the window was creepy. The two final car photos, California license and you’re with beautiful skies were a great way to feel like I had followers you with your camera all day long. What a wonderful halloween post – really enjoyed it!! Great stories and pictures. Would love to go see these places! Thank you! 🙂 The place is thick with history. I watch the full video on youtube….wow! Very creepy when you get at the end. It is 🙂 Some people had very frightening experiences in the house. Especially the psychic attack on the guy. I can imagine what it can do to other people visiting the place. Yes, it is only a few rooms and the majestic stairs. Diane, I have to confess that I have never watched that video to the end 🙂 Too scary. Me too I have to confess that I had too stop once in awhile the video. While watching the video at work it helped me to pause once in awhile and take a break. Seeing the psychic attack blow me away. Knowing now how it really manifest itself….it makes you think how the entities manipulates your mind. When you are in a crowd like a football game, a party, and so forth It’s good to go within and feel the energy around you. Is it weird, weary, joy, excitement and so forth. Great post and beautiful photos Inese! Eeeek! I don’t know if I’ll be able to sleep now..! There are cheaper tours that only include walking through some 4-5 rooms ( no photography either). I might go for one, sort of a charity act, because I want them to keep the roof on that house and don’t let it become derelict again. Oh these wax museums are the creepiest places ever. Gosh, I know! And somehow Dublin’s was my first. We don’t have much like that in the Midwest. I don’t doubt. At. All. 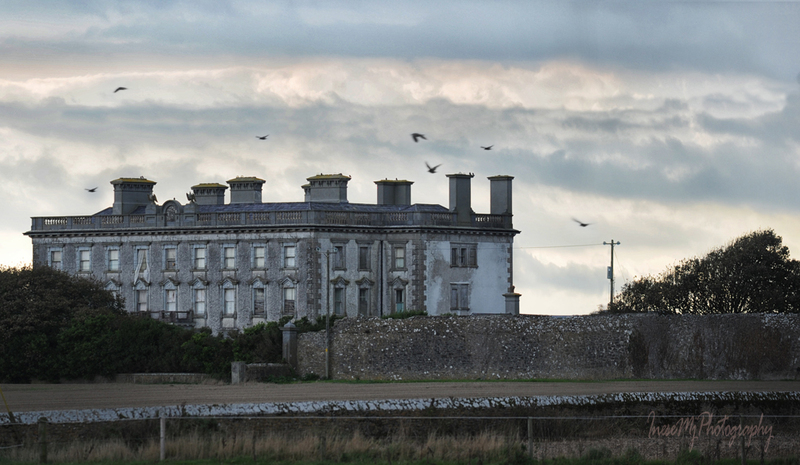 Such elegance and desolation regarding Loftus Hall! I’ve never heard of the stories and am simply enthralled. Perfect Halloween mood you’ve captured for us all. Thank you so much, Inese! Thank you for this fab Hallow’een post! With as much history as you have there, it seems like the place would be crawling with ghosts or at least ghost stories. Maybe it’s the same with ghosts as it is with people; it’s the rich ones that get all the attention. Nice photos. I especially like the silhouette and the unexpected ghost. Thank you so much, Dave. It is quite a bit of history for such a narrow strip of land. Nice post, really suitable for Halloween, especially pictures, however, the story was as good. I have very divided feelings about Halloween, and since I have never paid special attention to it just because up to the recent years, nobody celebrated something like that in Latvia, and I am also too superstitious to invite such mood in my house and place, I don’t think I will ever celebrate it. I might rather sprinkle salt and holy water in all corners of our place and have lightened up the special candle which comes from a holy place on the day before October 31st. It says, the Halloween is honoring all Saints and all spirits passed away to another dimension, but I am amazed, however, how much and in how many different ways the Halloween is interpreted and commercialized, and, technically, there’s nothing about honoring saints, is there? 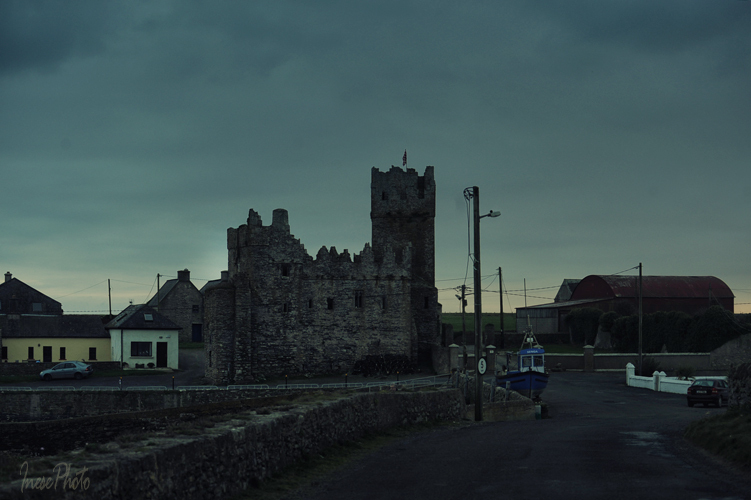 You probably know firsthand how interesting this can be, judging by photos you’ve spent a lot of time researching the history, and Ireland is certainly a place close to Halloween origins. I wish you lots of fun if you are decorating and celebrating! Wonderfully creepy and scary. You even had my mind wandering off to the supernatural with the appearance of the California car and the occupants of the chairs. My bones are rattling from such a scary tale of Loftus Hall. I couldn’t watch the first YouTube video; it flashed this message: “This video contains content from Scripps, who has blocked it in your country on copyright grounds.” I did find another one about the dark stranger, and I shivered listening to the other stories, as well! Oh no!!!!! That’s ridiculous. It is a Youtube page, for everyone. I have no words 😦 I will try to find something else to entertain you. Happy Halloween, my dear friend! No worries! There are other YouTube videos of Loftus Hall. Besides, your charming posts keep me quite entertained, dear Inese. Happiest of Halloweens! Enjoy yourself, my friend, have a fun and safe weekend! And you, too, kindest friend! Excellent, timely, post with suitably apt photos. 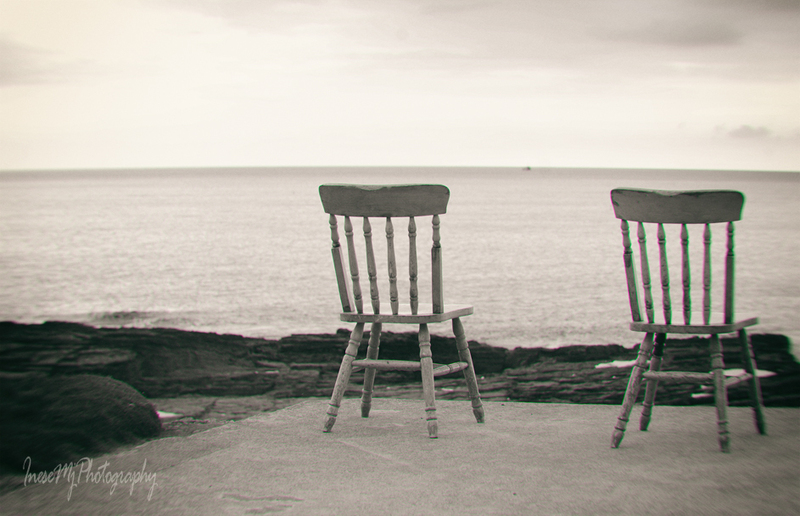 How did you manage to catch that couple occupying the chairs? No, I don’t think so. I am still very unwell. Will see tomorrow, but I have nothing planned for next week. The imaginings of the human mind really make life worth living…a lover with a ‘cloven hoof’ and the tale that unfolds is sublime. 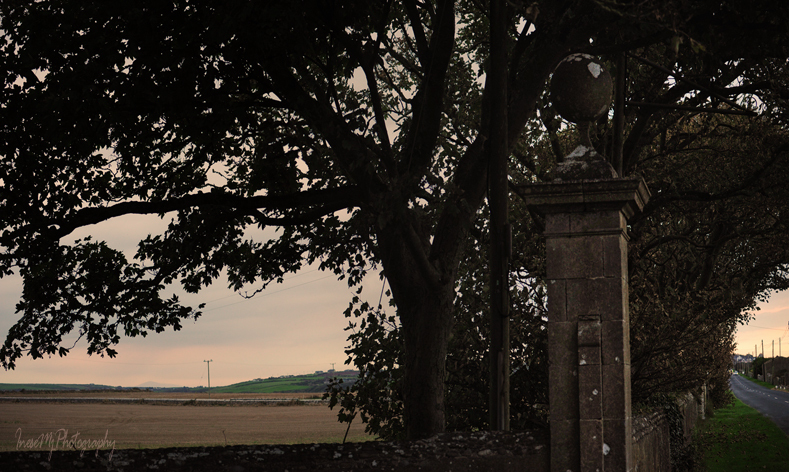 Folklore and Ireland really go hand in hand in a magical way. Of course, illness and nightmares…nasty twins. Many years back I had meningitis, boy did I have some horrible dreams. Hope you’re on the mend. Was yours eventful? Looking back mine was…although didn’t seem that way at the time! The ambulance didn’t tie me down so I fell unto the floor when they went round a roundabout, then the hospital put me in a darkened room, the staff changed shift and I was forgotten about for 2 hours wearing just the sheet they covered me with (my wife went mad when she found out). Then, 4 attempts at the lumber puncture! What a joy all that was! Totally surreal! No, my wasn’t THAT eventful :). But… I had that puncture, with several attempts, and a lady student fainted, and I couldn’t move my legs the following day… and the following month too. I was in the hospital from July to October. You were lucky to be married. I was all alone, 22 years old girl. Terrible thing to happen to you alone. My wife was looking after George at home as he was only about 4 or 5, so you can imagine her mood when she got to the hospital after finding someone to look after the lad. That lumber thing is awful though, at least my legs worked. Trust you had no long term issues. I did, for a couple of years, but physiotherapy straightened the things, eventually. So, we were lucky to survive. A good thing. Guess we were the lucky ones. You’ve been there, so you’ve seen a lot. Hospital experiences changed my perspective on life, and out of all the grief I witnessed grew compassion. For me, I think it was humour. Oddly, I can date back my surreal take on life from that episode. When I thought I might snuff I distinctly remember not being too bother save for the fact that I had not told Shirl where the key documents well have were kept etc. Funny old thing is life and death. You were mature enough to think about death and your responsibilities 🙂 My only though was ‘what is happening?’ but I have seen people die, and it was surreal indeed. Truly, the ‘cold black sea’ (Lou Reed’s words, not mine) only worry me in the context of those left behind. People generally think me odd. William Marshal? He’s super famous. Even I’ve heard of him. I’ve always had an interest in him ever since I heard the story about his being held hostage by King Stephen, who nevertheless refused to harm him when William’s father broke his oath. It always made me think rather better of Stephen, even though I know he’s often cited as one of England’s worst kings. Yes, that’s him. He owned large estates in Ireland, particularly around Waterford Harbour – highly strategic area, perfect for trade and all. 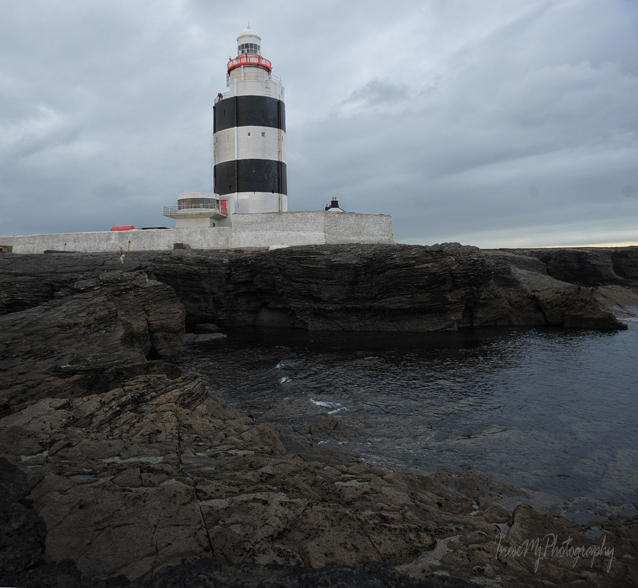 Since he died in the early 13th century, I guess that the lighthouse was one of his latest projects. That’s very interesting, Inese. I love unexpected connections like that. 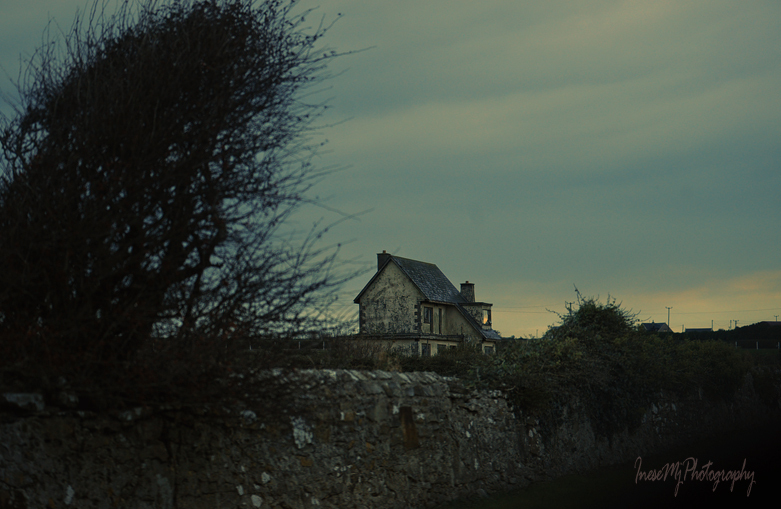 I will not go to Loftus Hall even if one pays me to. 🙂 Nice post as always, Ines. Wonderful post for the Halloween Ms inese. Thanks for the magnificent tour w/photographs. Thank you so much for stopping by, John! Many hugs! This post actually gave me the creeps, Inese. 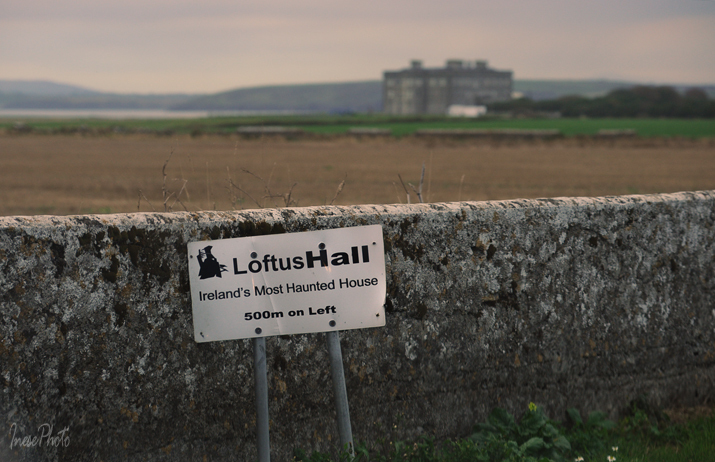 The photos of Loftus Hall are close enough for me. The birds, the sky, the curtain are all eerie. I do think that feelings stick to places, and the history of the house is intense with emotion. Wonderful Halloween post! A very extensive historical exploration! If I have time, I’ll check out the links, too. Happy Halloween, Inese…. Lovely photography, indeed. I think of the Buick Wildcat convertible “muscle car” from California parked there on your coast as one of your ghosts, certainly. Romantically noir. Isn’t it strange about that Wildcat? Who would ship such car overseas? You should see the roads in this area – I wouldn’t drive such car in the day time with all the tractors and all. All I can think of, maybe part of a movie set? But I like the ghost idea better. I can see a story arise from that, how an Irish kid ended up in California, met and married a successful actress who owned the car, how they drove around, how she committed suicide and he in turn took the car and drove it into the ocean… drowning. Then his ghost and the ghost car returned home and shows up here because, after all, it’s Halloween time and such things are allowed in the time-space continuum… Terribly Goth, I know. The car was there when I came, and it was still there when I was leaving well after the sunset. So, the ghost theory doesn’t seem unreasonable. Fantastic pictures as well as history Inese. The chairs and tulip photographs are sublime! 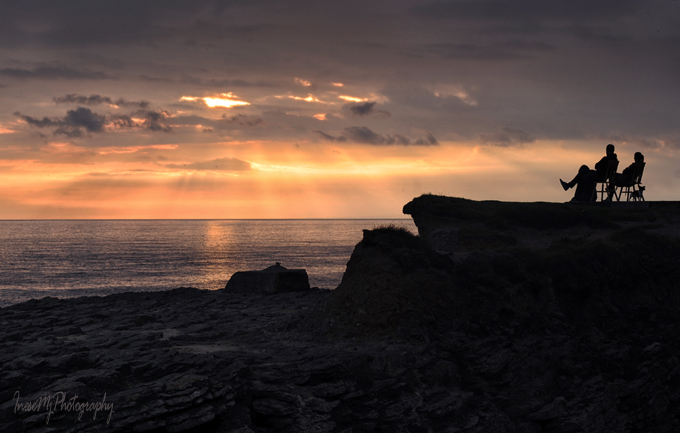 Lovely photos of the Hook area, Inese. It’s such a special place. Son Harry and I stayed on the Penninsula around this time of year when he was about 10. 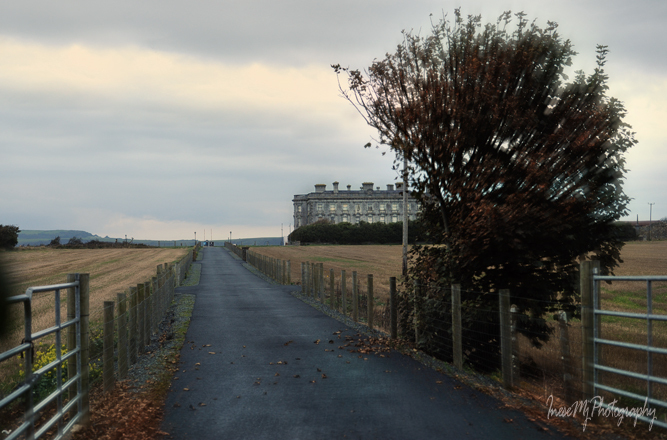 Loftus Hall was all locked up and pretty derelict then. We watched a video in the B&B about it and my son still talks about it withva shudder! It’s great that it has been renovated as it is such an imposing building. Jean, I posted two links, and one of them is really creepy 🙂 I would visit the house on my own in the day time, but wouldn’t go there at night even with a group because I don’t really trust the dark 🙂 I imagine what it looked like when abandoned. It is wonderful that somebody takes care, and I hope this family won’t give up on the old house. Very creepy, Inese. Just perfect for Halloween! Generally I’m not afraid of ghost tours but this one I might have to skip! To be honest, I don’t believe it is haunted 🙂 Just creepy. Well, I have to go there myself to be sure. Who knows, it is a very old building. Wonderful post for the Halloween! I have the same feeling for having to pay for a tour but no pictures allowed. That will be putting off. The story of the haunted place is interesting. It is too bad that your friends did not find anything. That would be even more interesting to learn. I love your ghostly pictures and the bare small tree. They are perfect rendering work. All of them could be scenes from scary movies. You lighted up the post a bit with beautiful sun set pictures and a bit funny about the license plate. Thank you so much! The evening was so beautiful that I didn’t want to go home and drove around the peninsula 🙂 I don’t think the house is really haunted, but people say that the tour is fun. I wouldn’t go there though 🙂 I will wait until they allow photography. The tree looked scary, and there were many abandoned buildings. Great place to go if visiting Ireland. A lot to see in the area. Okay. I’m COMPLETELY creeped out now! Thank you so much! 🙂 Happy Halloween! Splendid Halloween fare. Thank you for the great tale and fabulous photos!